1. Go to Project Settings then Notifications. 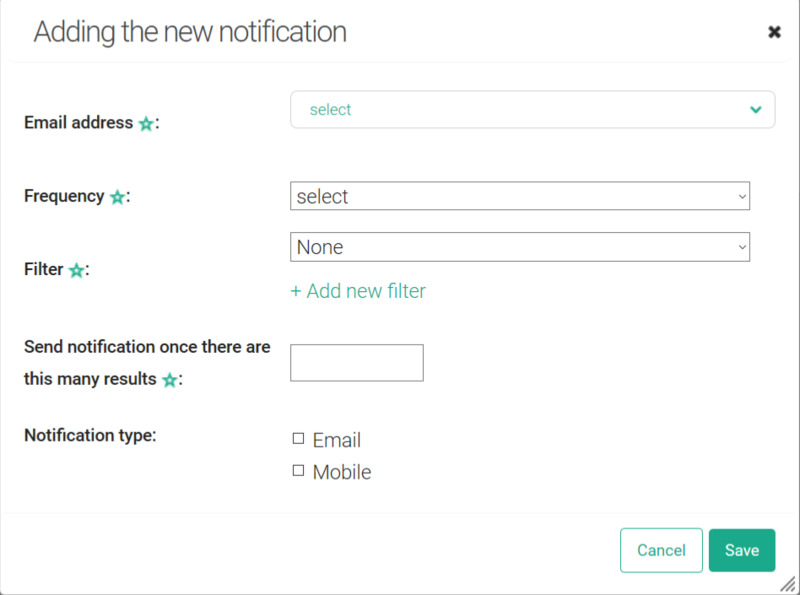 Hit Add more notifications to select the email address where you’d like to receive alerts. 2. Set your preferred notification frequency and type (mobile and /or e-mail). Remember to click the blue Save button to save the current settings of your project. Every new project you create has default settings. E-mail notifications are sent to the address you entered during registration. You can change this by following the steps above in the video.